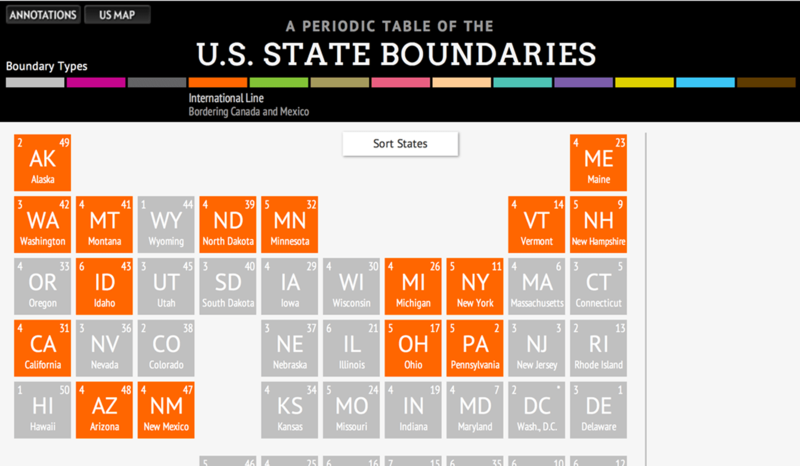 To create a web version of the Visual History of State Boundaries poster, I worked with Graphicacy team members to build an interactive in early 2013. The Periodic Table layout of the state shapes, which came far earlier than the heated discussion of grid maps, was borrowed from a post on Flickr by Musely. 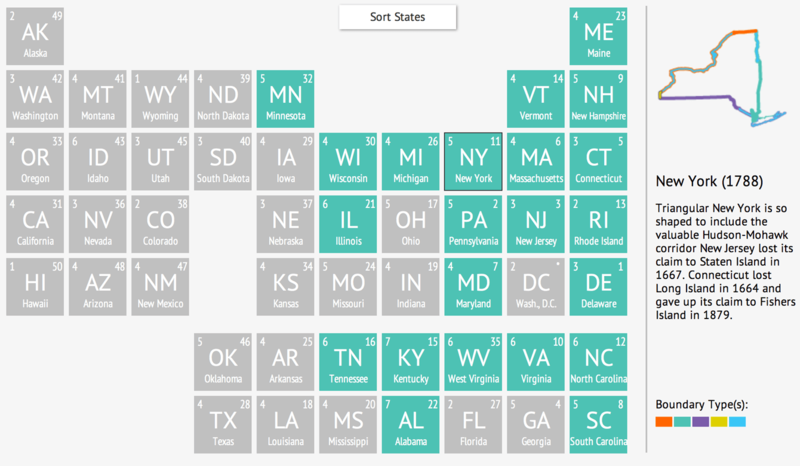 Could you believe it was called The Periodic Table of the USA six years ago? To truly earn its name, the table does offer more information than the grid map. 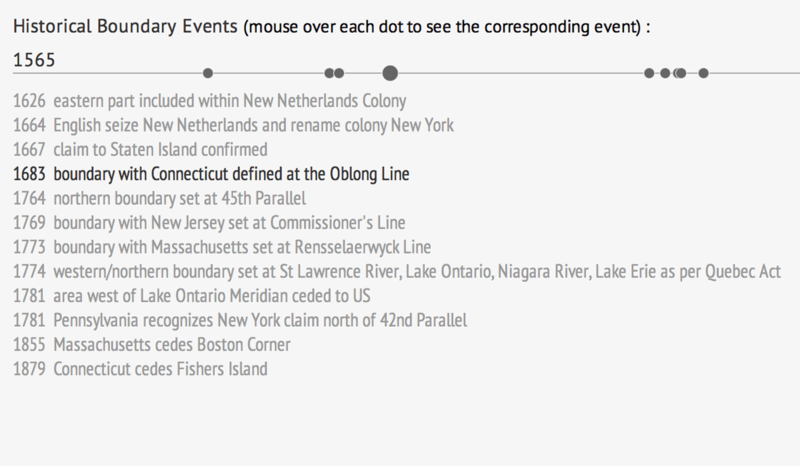 The sidebar provides a more detailed look of a selected state. The timeline at the bottom tells the boundary formation history of the state.